SAN ANTONIO - A doctor accused by federal prosecutors of health care fraud -- which included misdiagnosing and mistreating patients for illnesses they did not have -- was once described by his wife as "untrustworthy, dishonest, and without regard for court orders or rule of law." The allegations were submitted in an affidavit filed in 2008 by Meisy Zamora, also arrested on charges of conspiracy to commit health care fraud. 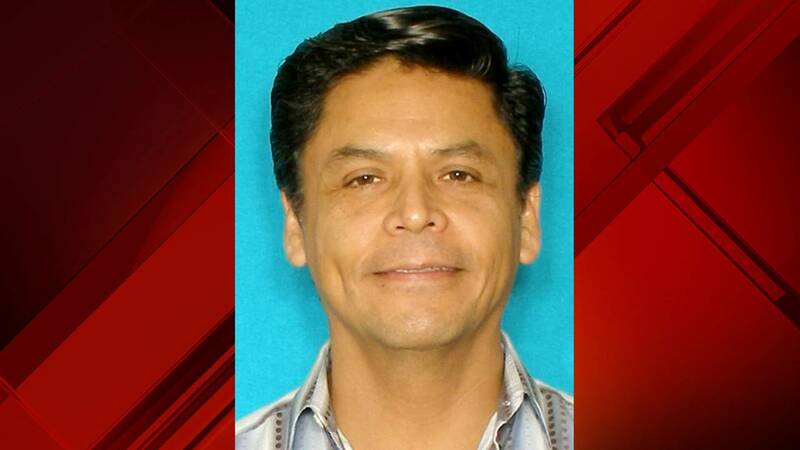 Zamora and Dr. Jorge Zamora-Quezada were involved in "a contentious divorce" when she filed for a restraining order to keep him from selling or transferring property or funds by filing for bankruptcy, a move Zamora alleged was "for illicit purposes is evidence of his evil intentions." That divorce case was later dropped. Zamora-Quezada is accused of overbilling Medicare and other agencies $240 million for nearly two decades. Part of the scheme, prosecutors have said, involved claims submitted for "medically unnecessary services; performing excessive, repetitive, and fraudulent medical procedures; manufacturing false patient records in order to respond to requests for patient records; and administering toxic medications, such as chemotherapy, to patients on the basis of his fraudulent medical practices." Zamora, who supervised employees at Zamora-Quezada's offices in San Antonio and the Rio Grande Valley, is accused of establishing billing quotas, requiring employees to order "more tests and procedures, regardless of what patients actually needed," a criminal complaint alleged. Employees also said Zamora instructed billers and medical assistants to "change the patient's diagnosis to result in a payment, even if the diagnosis was false." The couple are both being held without bond until trial. Both asked a judge to consider releasing them on bond, even under guarded house arrest, because their 14-year-old daughter has been separated from her parents, leaving no one to care for her. "This is false," prosecutors said. "The Defendant's daughter has numerous close family members available to live with and care for her, including grandparents and six adult siblings ranging in age from 36 to 20, many of whom live in the Rio Grande Valley." Prosecutors used the affidavit from Zamora, as well as transcripts of recorded phone calls Zamora-Quezada made from jail to his relatives, as reasons for the judge to continue to hold him without bond. "Despite the Defendant's confinement, he appears to continue to brazenly disregard the law. Specifically, the Defendant appears to have been aware of (if not directing) his wife to go to Mexico to evade arrest and find money hidden there, despite knowing that the money could be subject to seizure or forfeiture as a result of this case," prosecutors said. Prosecutors also showed concern Zamora could flee the country if she's released on bond. "In a call (Zamora-Quezada made) from jail on June 15, 2018, the Defendant learns that Mrs. Zamora fled to Mexico out of concern for being arrested. Instead of acknowledging that it is wrong to evade law enforcement, he responds 'Oh! That was it is. Okay. Okay.' In another call the same day, the Defendant's son informs him that Mrs. Zamora went to Mexico to 'find  the funds.' The Defendant responds 'Yes, of course, They should already be...yes, she already told me that she's almost done," a court document said. Prosecutors also claim the couple responded to a federal grand jury subpoena with falsified records to "create the false appearance that the Defendant's medical practices were legitimate." A judge is expected to take up the motion to reconsider bond for the couple Wednesday afternoon.